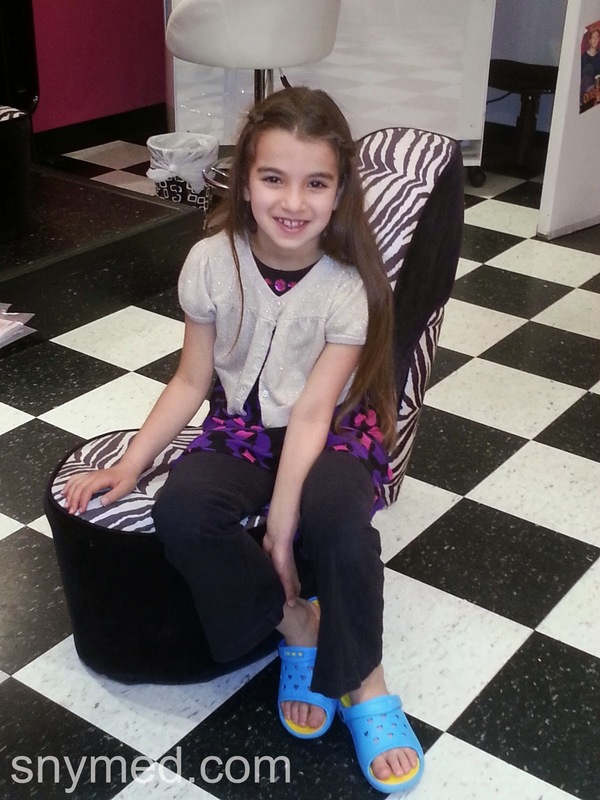 All Ready for Her Glama Gal Tween Spa Birthday Party! 9 months ago we moved to a new neighbourhood with our five kids, which has been bittersweet. Bitter: as we no longer see our "old" friends on a daily basis, and sweet: as we've met new friends, the kids attend a wonderful "new" school--and there's opportunities for us to grow as a family. As a result of the move, our daughter had to leave her two "old" best friends behind and attend the new school that I mentioned. I know that the transition has not been an easy one for her, and it has affected her self-confidence to a degree. This year my daughter decided she wanted to have an "unbirthday" for all her friends--old and new. Her actual birthday is in the summer, which means that her girlfriends are away and cannot attend a birthday celebration. 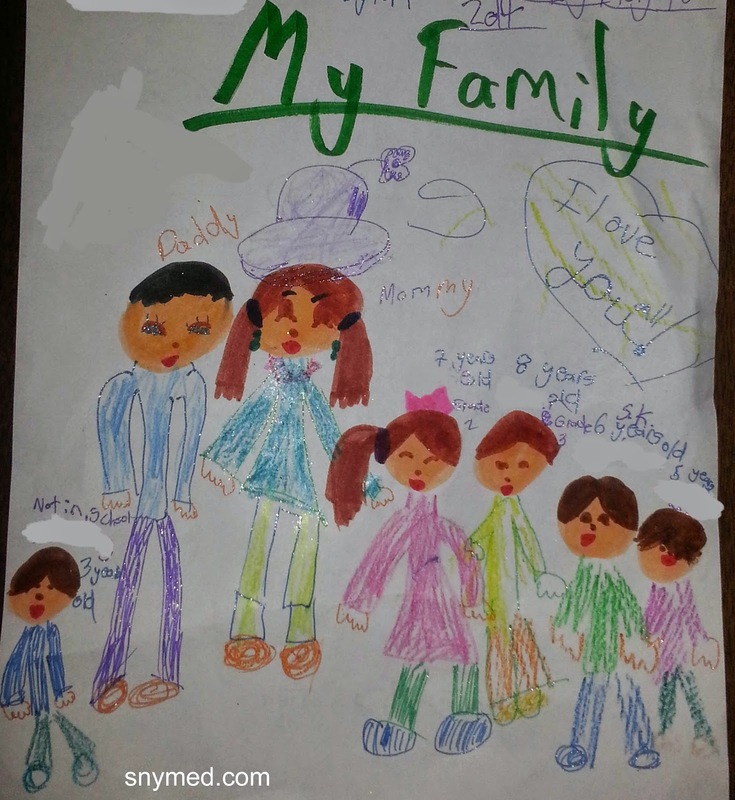 I was delighted when my daughter showed the initiative in planning a party, so I readily agreed. 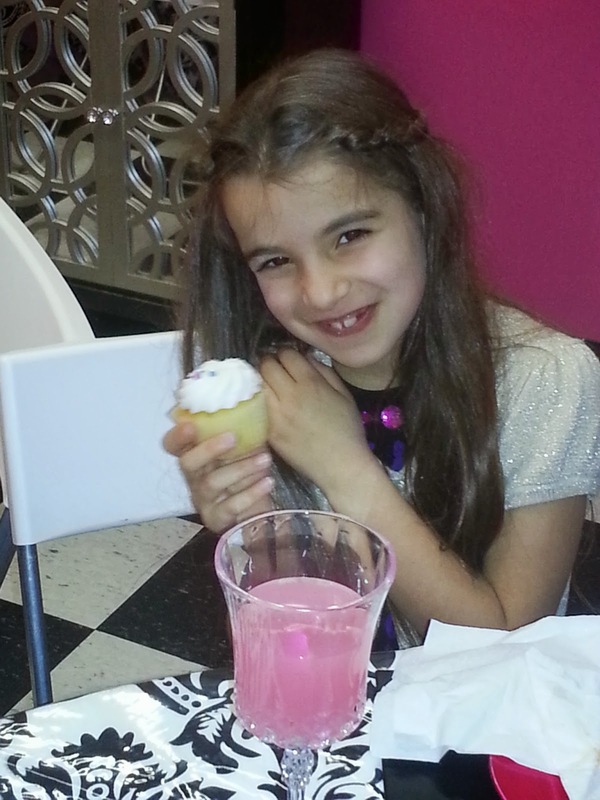 My daughter is a girly-girl and was dazzled by the idea of a Glama Gal Tween Spa birthday party. She had enjoyed a mani-pedi at the spa previously, and was really enamored by the place. 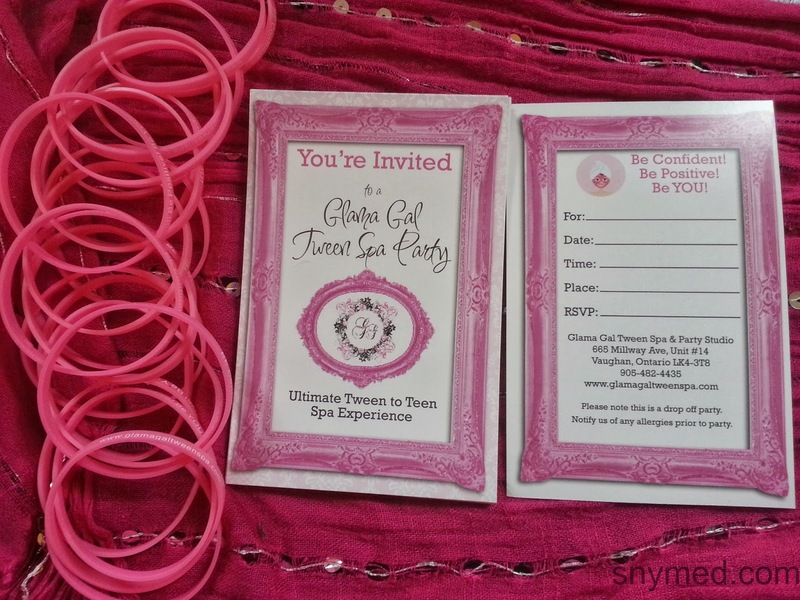 I booked the party with Glama Gal, and they mailed me beautiful party invitations and dark pink rubber bracelets for my daughter to hand out to her friends. We mailed a few invitations to my daughter's friends in our "old" area, and I loved how the jelly bracelets tucked easily into an envelope. The Glama Gal Tween Spa is quite beautiful inside, with no details overlooked. For example, the walls are painted hot pink with elegant chandeliers hanging from the ceilings. In the pedicure and lounge areas, there are chairs shaped like high-heel shoes, and covered in a zebra print. As soon as the guests arrived, they were warmly welcomed. Then, the girls changed into a pair of spa flip flops, and chit-chatted in the lounge while a Glama Gal leader orchestrated icebreakers. There was a very generous dining area in the rear of Glama Gal, which was nicely tucked away and beautifully decked out. 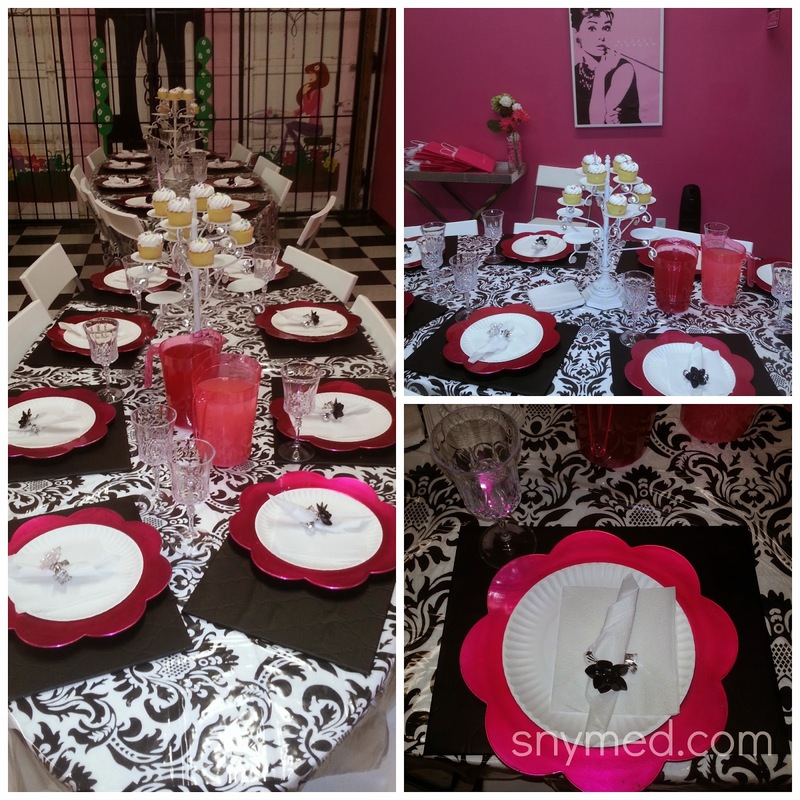 As our party was set for noon, the girls were ushered into the dining room to enjoy pizza and pinkatinis. I was very impressed by how the Glama Gal staff kept the conversation going during the meal. One game that they played was "what do you love the best about the birthday girl?" This game was a big boost to my daughter's ego, as the girls were able to say why they enjoyed her friendship and shared their fondest memories of her. The cupcakes were nicely presented in a cupcake tree, set temptingly out on the well-dressed table. The girls sang "Happy Birthday" to my daughter, and got ready for their facials. In preparation of their spa treatments, the girls changed into white with pink monogrammed bathrobes on top of their clothing. Then it was time to get a fabulous group photo with fancy hats, hairbands, glasses and other fun props! This was a great memento for my daughter, who will have a photo of all her friends together--both old and new! My Daughter Celebrating With Her Friends! 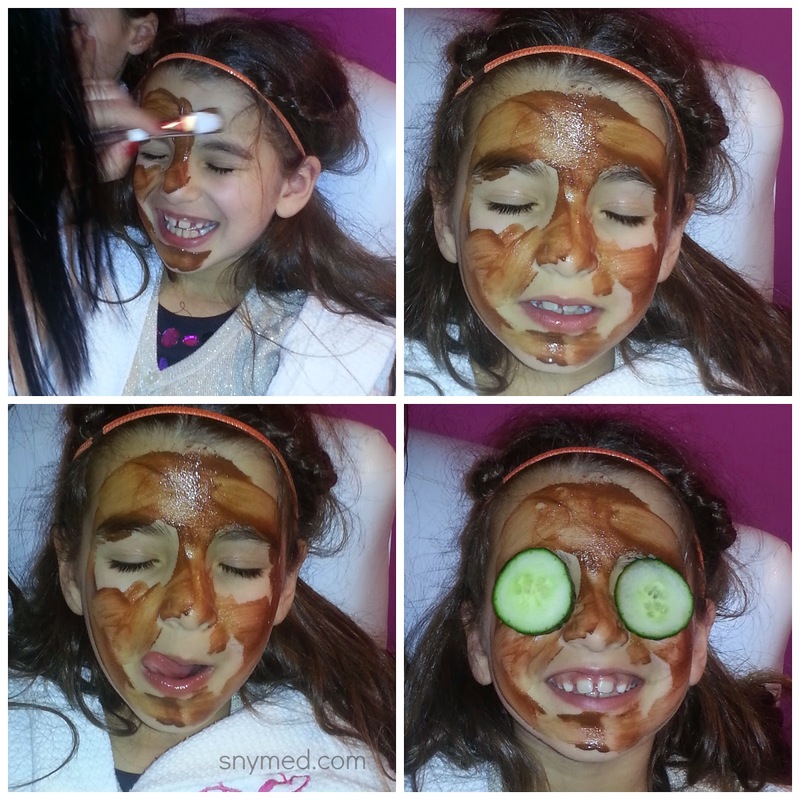 Then it was time for the utmost relaxation with an edible chocolate facial (yes! you heard me right!) and cucumber eye mask! The spa dimmed the lights, put on soothing music, and started by spraying the girls with a refreshing water mist. Then, it was time to paint the girls with a delicious chocolate facial. Needless to say, the girls offered no complaints! Next, the girls embarked on their pedicures--while eating a scoop of icecream with sprinkles. They all soaked their feet in warm water and added a bath bomb of their choice. Then, they each enjoyed a mini foot massage and toe nail polish of their choice! After the pedis, the girls moved on to swag bag shopping--and each got to choose pretty trinkets like bracelets, headbands, wallets and more. The Glama Gal staff wrapped their new treasures in tissue paper and hot pink gift bags! The Girls Went Wild for Swag Bag Shopping! The last step in the spa treatment was for the girls to all have manicures at the nail bar. Again, the girls all got to choose a bath bomb for their hands and nail polish (or polishes) of their choice. I loved walking around and seeing what colour combinations the girls selected. My daughter choose a hot pink, with a silver sparkle overlay. It looked really fantastic, see below! Before leaving, the girls also received colourful feather clip-on hair extensions. To me, this was the cherry on top of the sundae and really made the girls feel special. 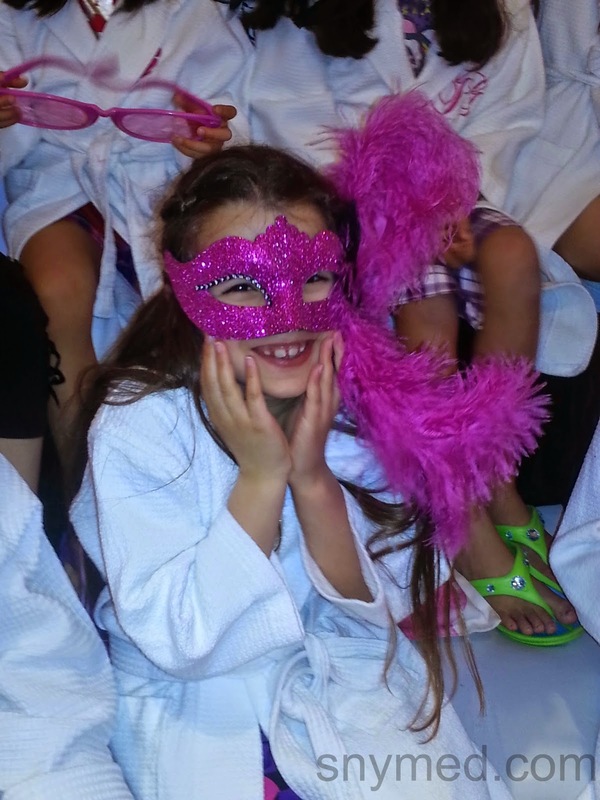 I could tell that the girls really enjoyed the party, and some remarked how they would like to have their next birthday party at Glama Gal Tween Spa. Some parents dropping off or picking up their daughters took a quick tour of the spa and were very impressed. I know that I was impressed again at our second visit. 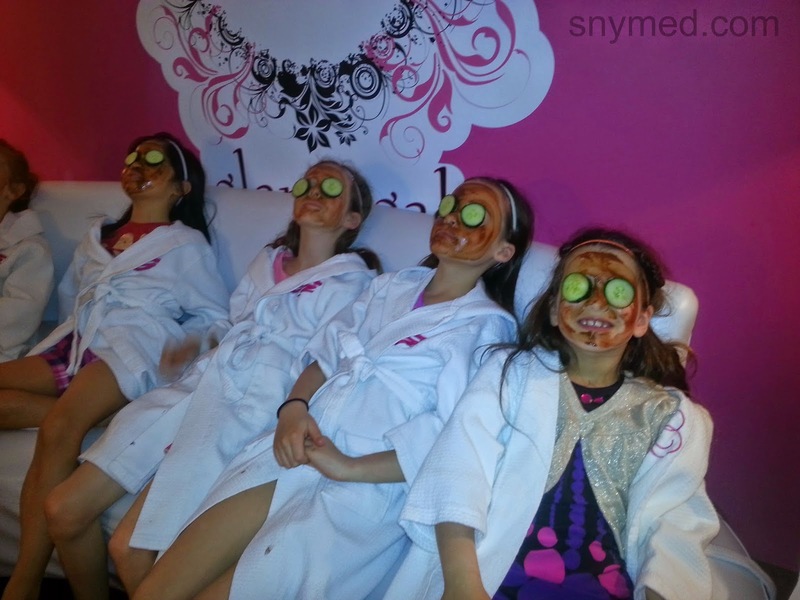 I would highly recommend Glama Gal Tween Spa for girls of all ages. 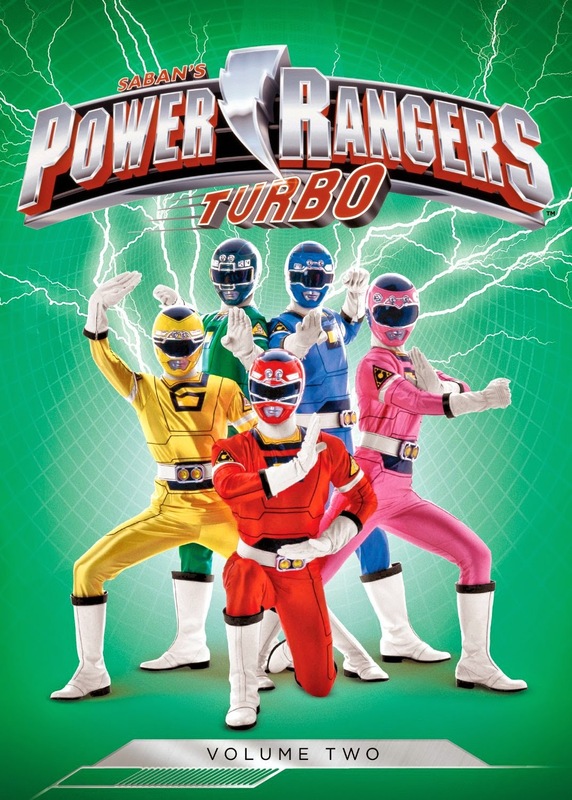 It was a fun, safe, empowering, and glamorous experience--where girls could bond with their friends. My daughter loved her party, and has talked about it with delight ever since her special day. I asked her if there was anything she did not like about the party, and she said she loved it all! Now she is talking about going back again to Glama Gal for some of their other special events! 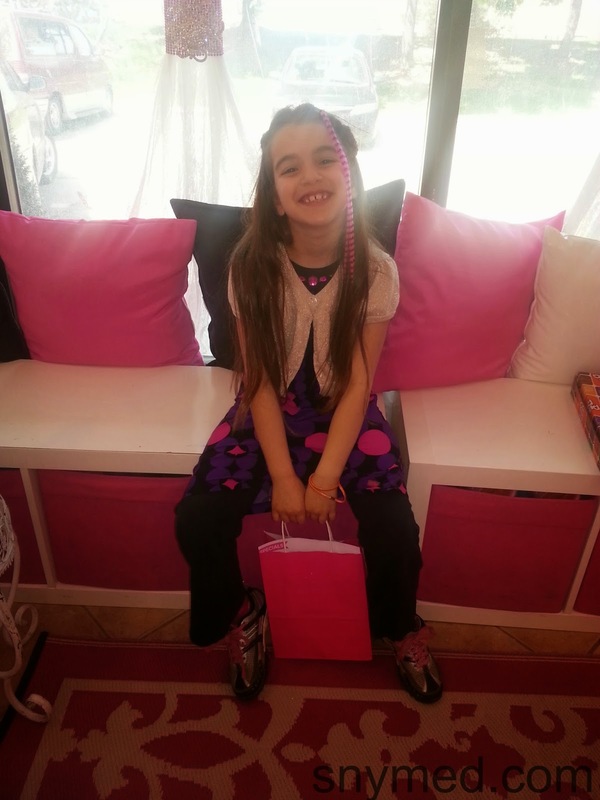 Find a Glama Gal Tween Spa location nearest to you! Follow Glama Gal on Social Media! 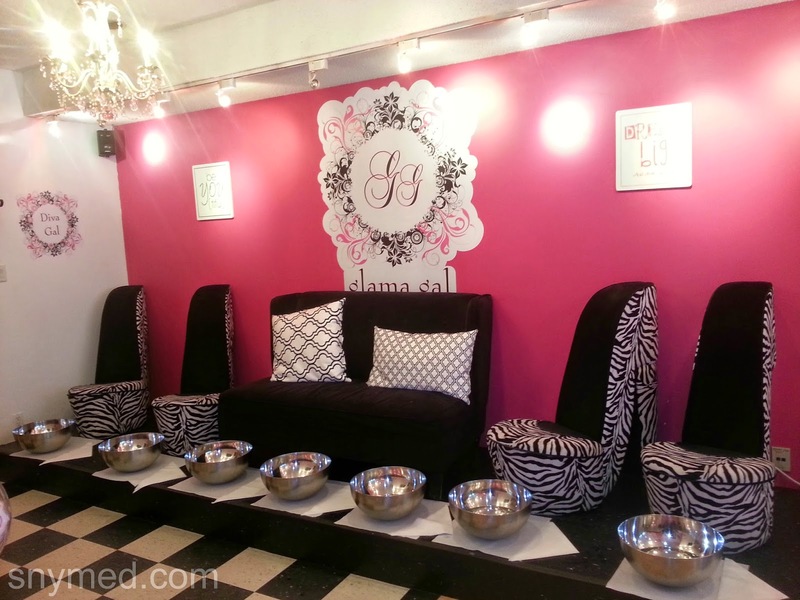 What looked like the best part of the Glama Gal birthday party: the mani, pedi, or chocolate facial? Do you have a daughter or granddaughter who would love visiting this spa? 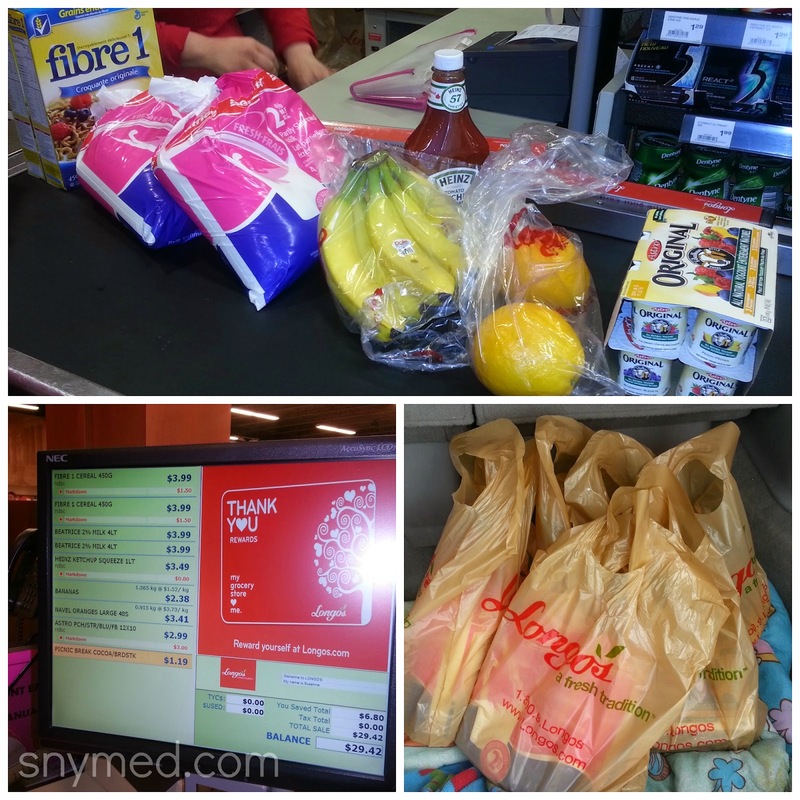 Our Victoria Day Long Weekend Together & Two Barbecues! A Beautiful Victoria Day Long Weekend For the Kids! I wish that every weekend in the spring and summer months would be a long weekend! That extra day really makes a difference in terms of planning family activities, enjoying the outdoors and nature, visiting with friends and relatives, and of course--getting a little ahead on housework. I also feel that everyone's a lot better rested after the long weekend, and in a slightly sweeter mood. This Victoria Day long weekend the weather behaved for us--against all odds--and the rain was kept mostly at bay. As a result, we enjoyed hours of outside time together as a family, including walking through nature trails, visiting playgrounds and parks, watching fireworks, and having a wonderful picnic by the creek. The kids were also active trampolining, playing soccer, and riding bikes and scooters. For fun and endurance, the kids and I practised running around the baseball diamond--and clocking our best times with a stopwatch. I've recently taken up running, and the kids have also shown interest--and talent--in the activity! We also enjoyed having two separate barbecues during the long weekend. It's just lovely to sit outdoors as a family and have a meal together, after such a harsh winter! 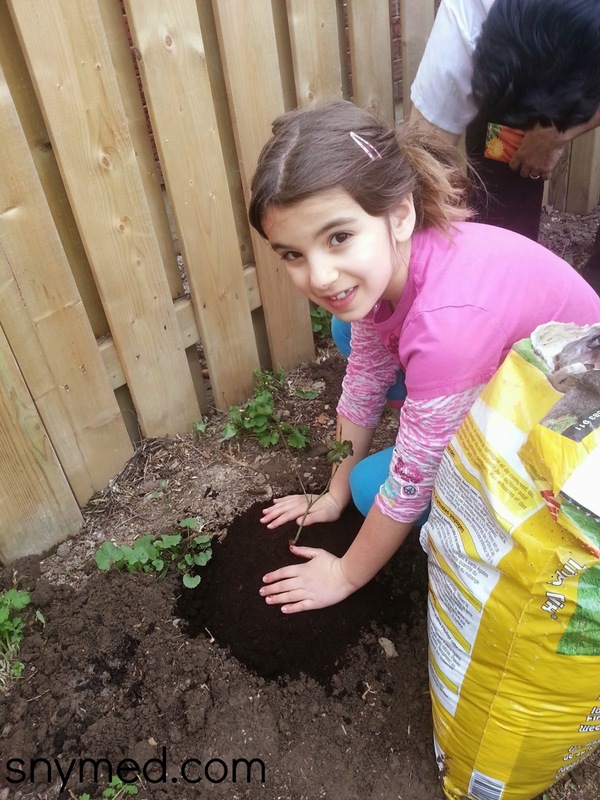 Although spring has been late in coming in Toronto, our chives are abundant, the raspberry bushes have most of their leaves, the rhubarb is inching its way up in height, and all of the tulips are finally open. As the kids play, I love measuring the progress of our little garden, listening to the jubilant chirps of the Robin Redbreasts, and feeling the slightly warmer weather against our skin. It's so peaceful to have a barbecue out on the patio! Can I Offer You a Swiss Burger? For our BBQs, we had one night of fish and grilled veggies, and another night of hamburgers, grilled chicken and veggies for the kids. 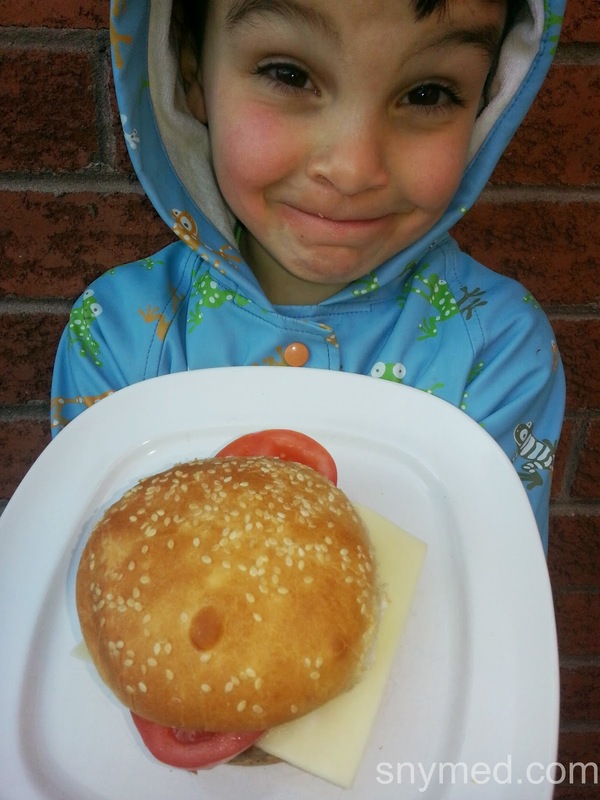 I made one Swiss Cheese burger, and soon all the kids wanted one! 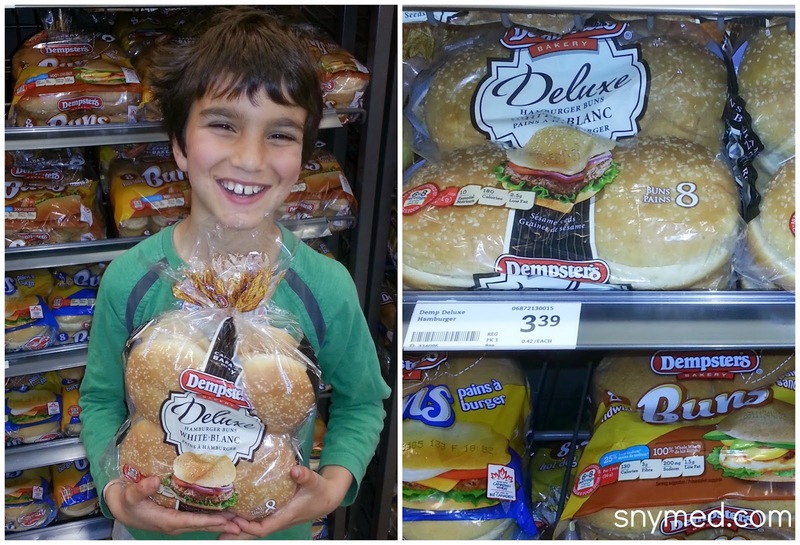 We tried the Dempster's Deluxe Hamburger buns with the burgers for the first time ever, and they went over well. The buns are quite generous, so half a bun were more than sufficient for the kids. As the weather continues to get warmer, I'm looking forward to more time outside together as a family. 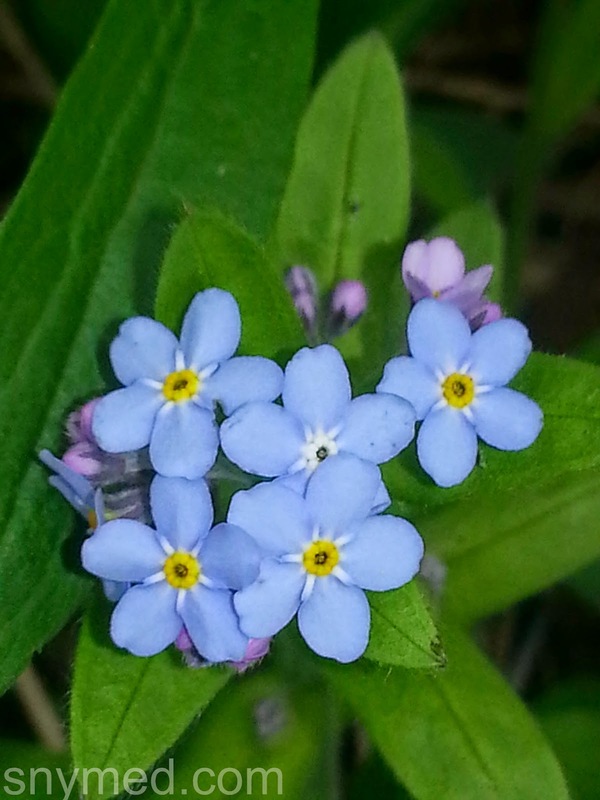 I can't wait until shorts, t-shirt or flip flop weather is everyday, and the carefree temperature overtakes us with fragrant flowers, warm nights, and the lake to cool us and relax us. 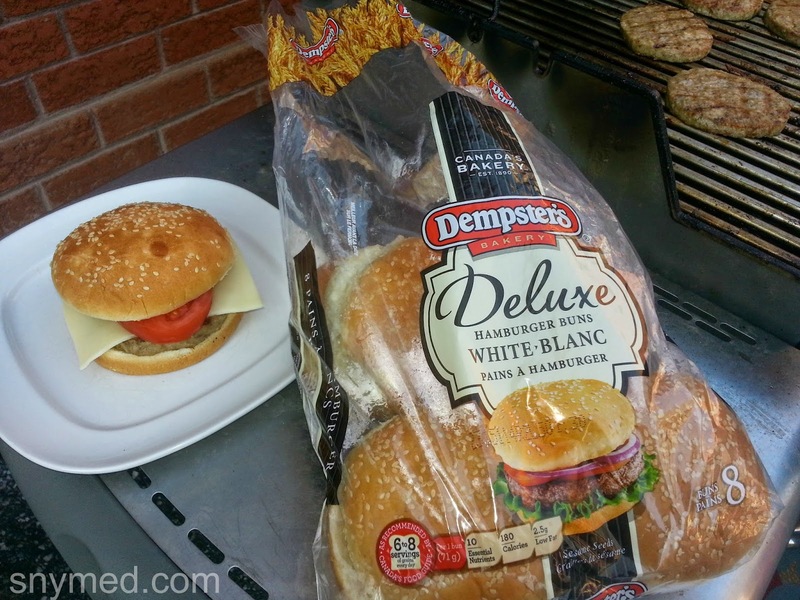 Try Dempster's Deluxe Hamburger Buns at Your BBQ This Spring! What activities do you look forward to the most with the arrival of warmer weather (ie: swimming, BBQing, etc)? Has the weather lived up to your expectations this year? 16.5 Months of Health & Fitness: Maintaining My Weight! It's been 16-and-a-half months since I started to eat well, and exercise regularly (and yes, I count the half month)! In my first year, I dropped 70 lbs and continued to slowly shed a few additional pounds. I'm now resting at around the 142-143 lb mark from my original 215 lb high. I feel proud of what I have achieved, and I feel that I'm now in good health! What this blog posts intends to do, is to motivate and to demonstrate that you can take off weight and keep it off for the longterm--regardless of who you are, what your current weight is, your current eating and exercise habits, and your age! 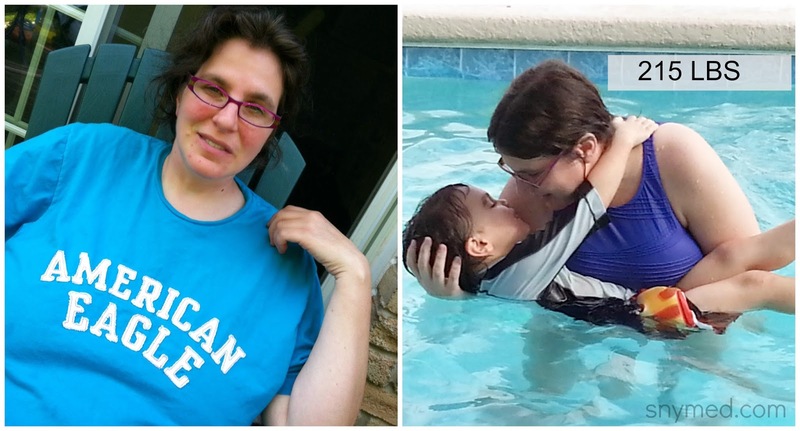 I turned my life around at 40-years old as a mom of 5 young kids--so I know that you can too!!! After having 5 children within a 5-year period, I had allowed myself to climb to my heaviest weight ever: 215 lbs. I take total blame for my weight gain, as I was eating whenever I felt like it, dining on fast food and junkfood, and never getting active. 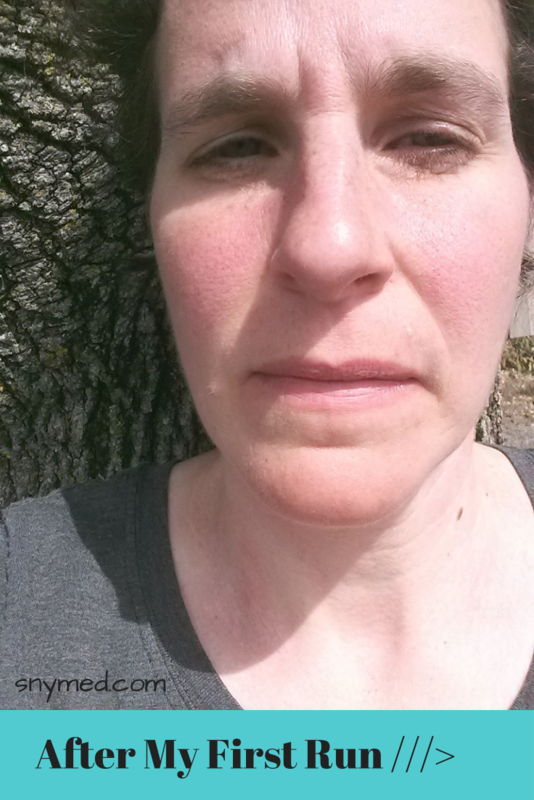 When I began to get winded, felt pain in my knees, and saw that my kids were following my poor eating and exercise habits, I decided to take matters into my own hands. 1.PURGING & RESTOCKING - I began by purging my home of all junk food, and decided that we would not eat take out or fast food--until I could learn moderation. 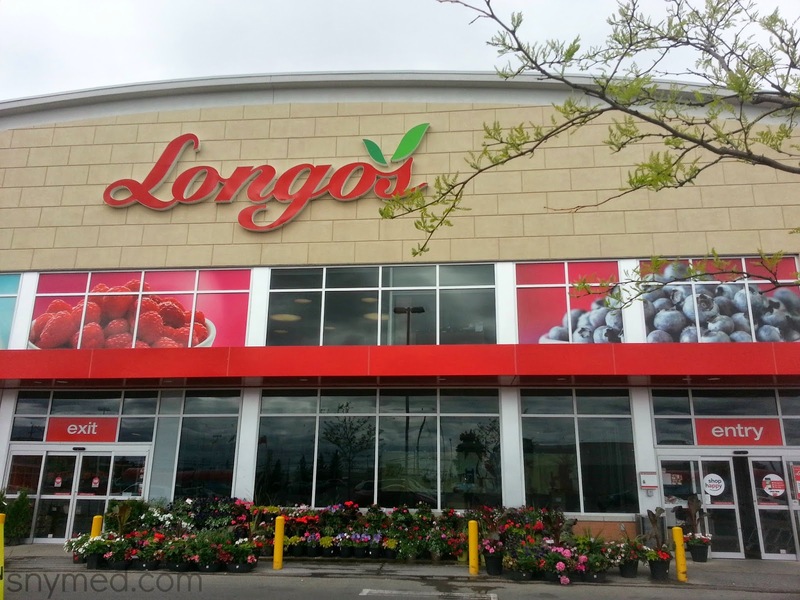 I did a big shopping of healthy fruits, vegetables, beans, rice, lentils, extra lean ground beef, and boneless, skinless chicken meat. My husband and I started to cook homemade meals every day, so we could control the amount of salt, sugar, and additives that were used. 2.MODERATION - I tried to stick to eating my main meals at breakfast, lunch and dinner time. 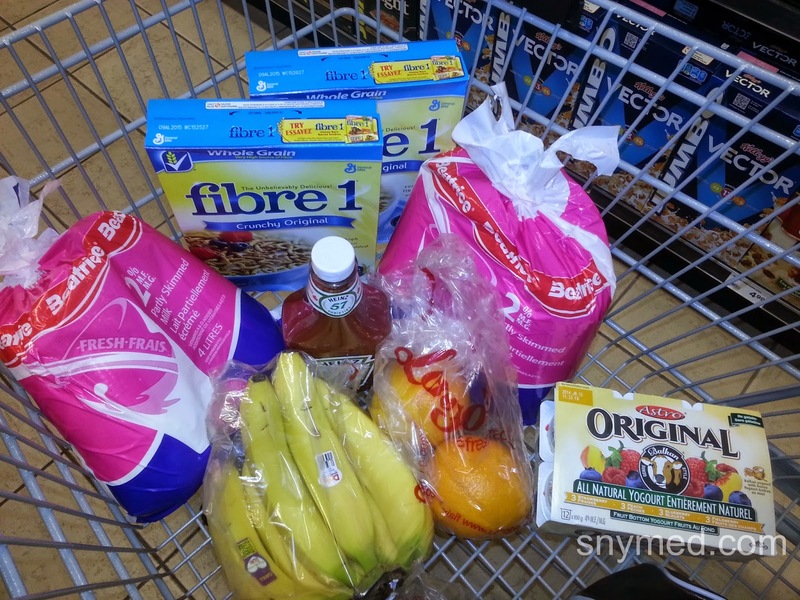 As I found that I was getting hungry in between, I allowed myself 2 healthy snacks daily. I would only eat when legitimately hungry, not bored or "snackish" with a craving. I tried to control portion size. 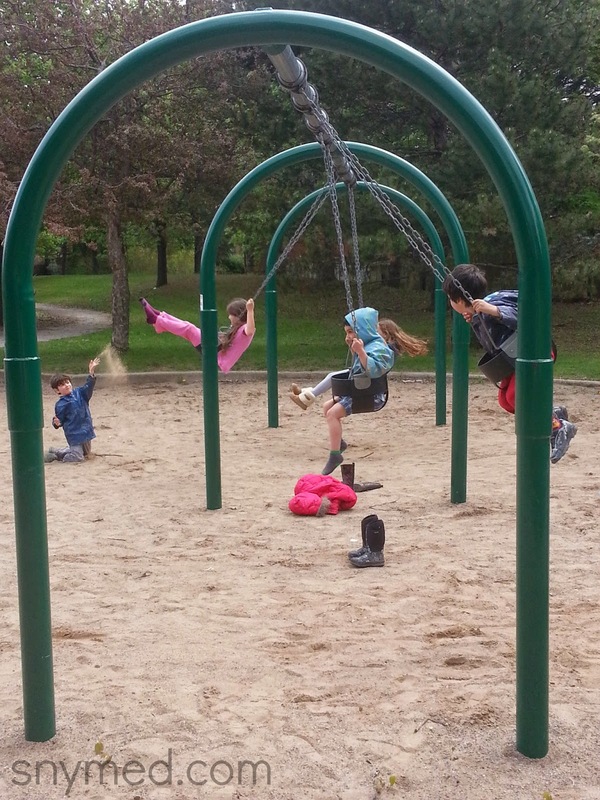 3.DAILY MODERATE EXERCISE - I began exercising for 1 hour per day with my kids, regardless of the weather. The activity was not so important, as long as I was getting 1 hour of exercise daily. I got my family moving by taking walks, tobogganing, swimming, hiking, and more. 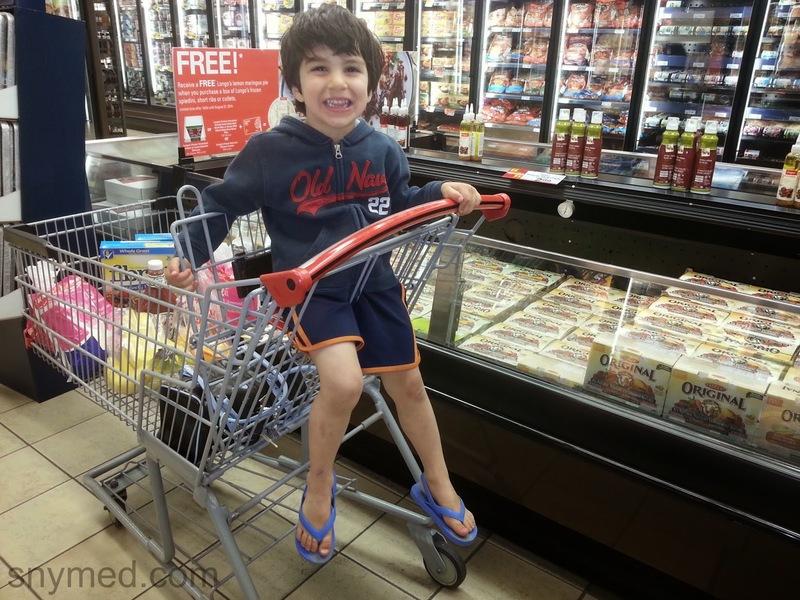 Getting the Kids Involved in an Active Lifestyle! 4.POSITIVE ATTITUDE & BELIEVING IN MYSELF - Throughout my journey, I've maintained a positive can-do attitude and believed in myself. A number on a scale is not as important as a positive mindset! Without the proper attititude in place and self-belief, it would have been difficult to get as far in my journey as I am today. "If mom can do it, so can I!" The power of positive thinking has also helped my kids reach their goals, and I've watched them push themselves physically where they would have otherwise given up. I also support and encourage the kids with charisma! It's infectious! 1.HEALTHY TOGETHER - 16-and-a-half months later my health and my family's health is doing very well! 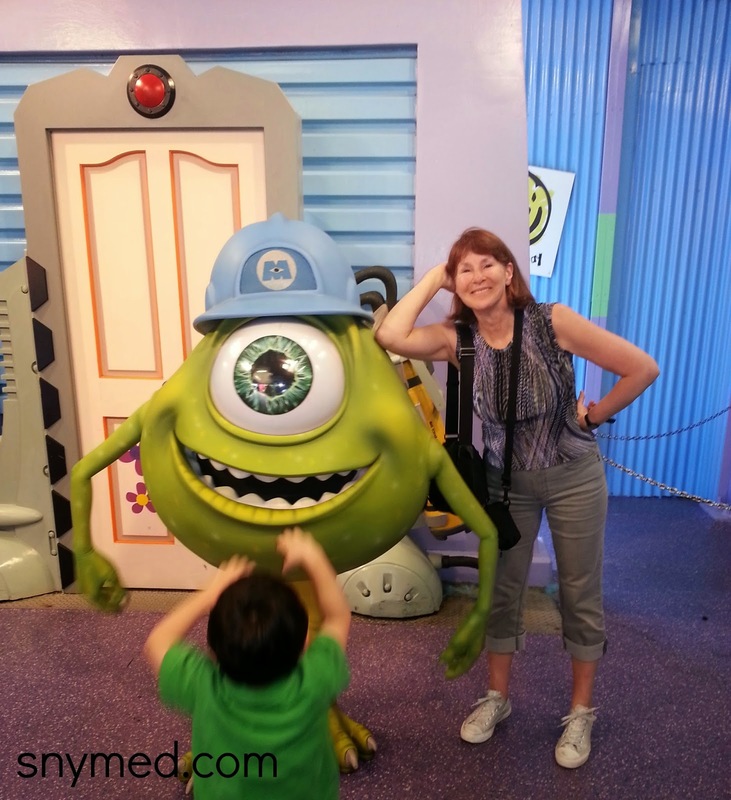 My husband, 5 kids and I are all at a healthy weight and eating with nutrition in mind. "The family that plays together, stays together!" Doing it together, we have been able to support one another along the way, and the kids look up to me as a role model. 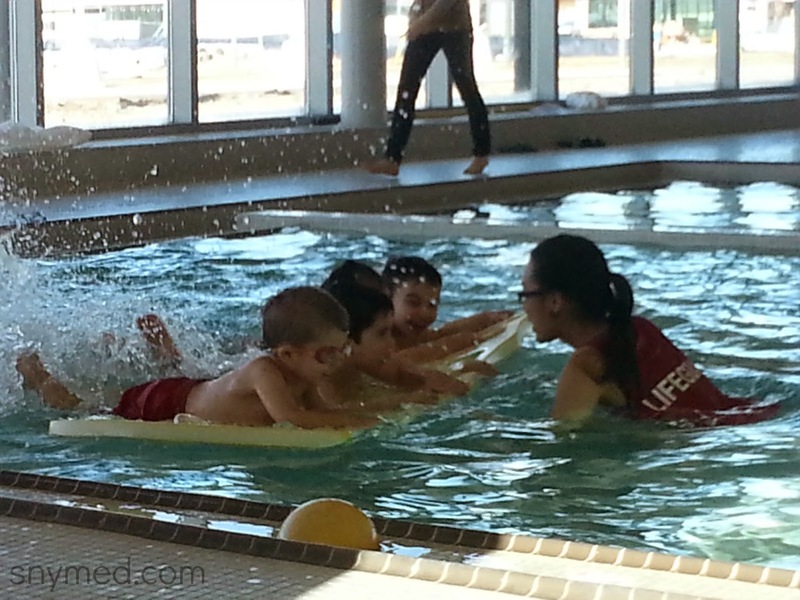 My Active Kids Have Fun at Swimming Lessons! 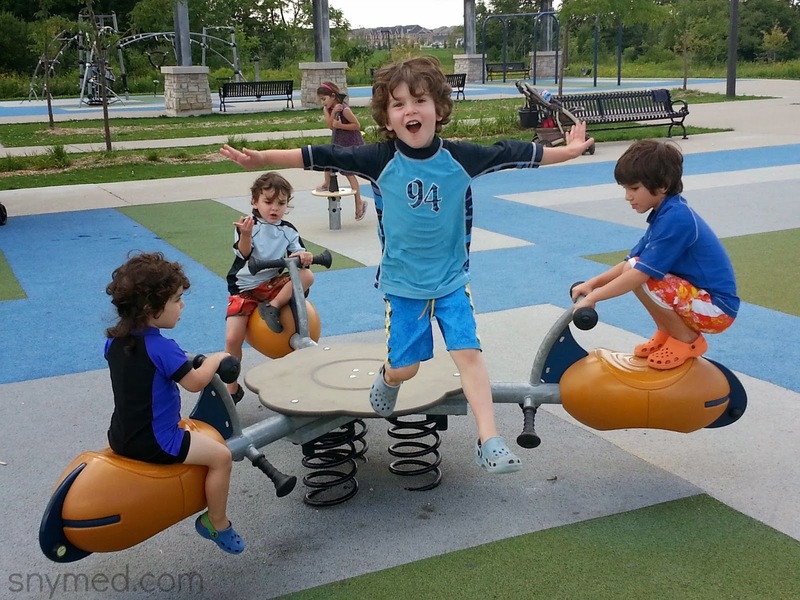 Activities that we do with our kids include bicycling, scooting, tennis, swimming (and weekly swimming lessons), hiking, playing soccer as a family, trampolining, playing tag, and more. 2.SELF-MAINTENANCE - In order to maintain my health and fitness levels, I continue to make the best food choices for myself and my family at each and every meal. As this is a lifestyle that will continue over my lifetime, dieting won't do! 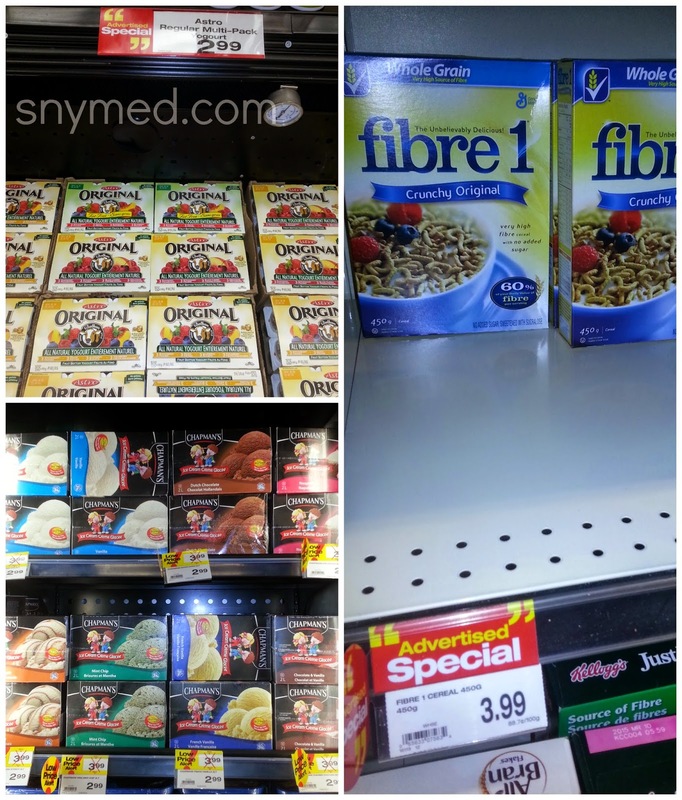 I read every food label to ensure that I'm choosing the best, most nutritious foods for myself and my family. 3.MODERATION - As I enjoy snacking and this will always be a part of me, I don't mind loading up with what is the most healthy snacks, such as cut up veggies, fruit, or foods of similar nutrition. 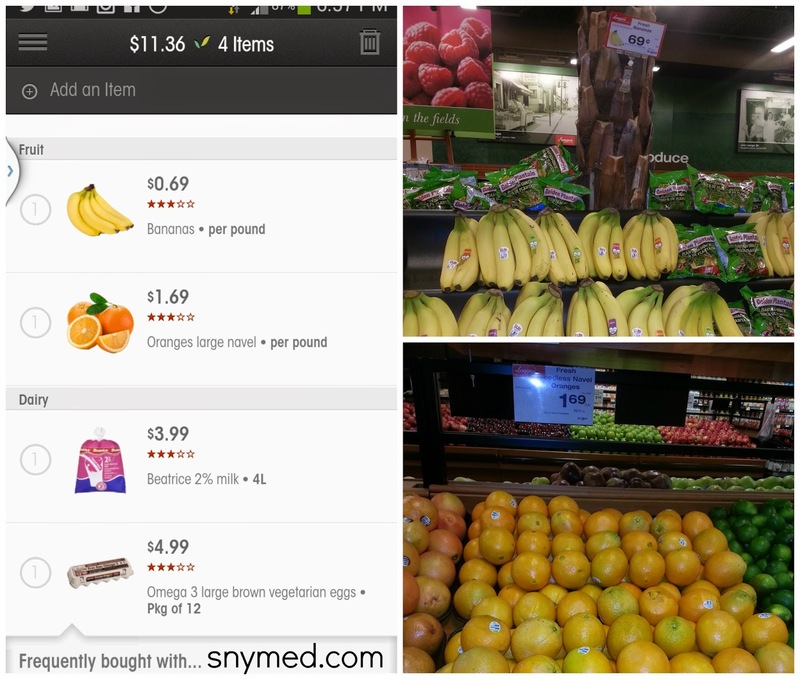 Sometimes I want a "snack snack", so I allow myself a daily purse of about 100 calories (which I don't always consume). However, once my snack has been eaten, I now know that it's time to stop eating and to walk away from the kitchen. Some of the unhealthy snacks I allow myself include 4 large marshmallows, OR a small hot chocolate (made at home with milk, and the chocolate powder halved), OR another item of my choice. When choosing unhealthy snacks, the most important factor to me is NOT exceeding one per day and limiting myself to "about" 100 calories. So, for the snacker who loves potato chips or chocolate bars, I would say that you can most certainly treat yourself - but put together a 100-calorie portion (as per the serving guide stated on the food label). 8 potato chips would be about 100 calories, or 1 cookie--so choose your snack wisely and make sure it has a lot of bang for the calories--and will help eliminate your craving! 1.LIFESTYLE - Eating healthy and staying active is now a part of my lifestyle, and I'm happy at my current weight and feel good in the low 140s for my 5'8" frame. I went from a size 14 to a size 6, lost 4 sizes, and now feel I've lost the majority of my excess weight. All the hard work is done now, and all I have to do is keep up with my good nutrition and activity level. 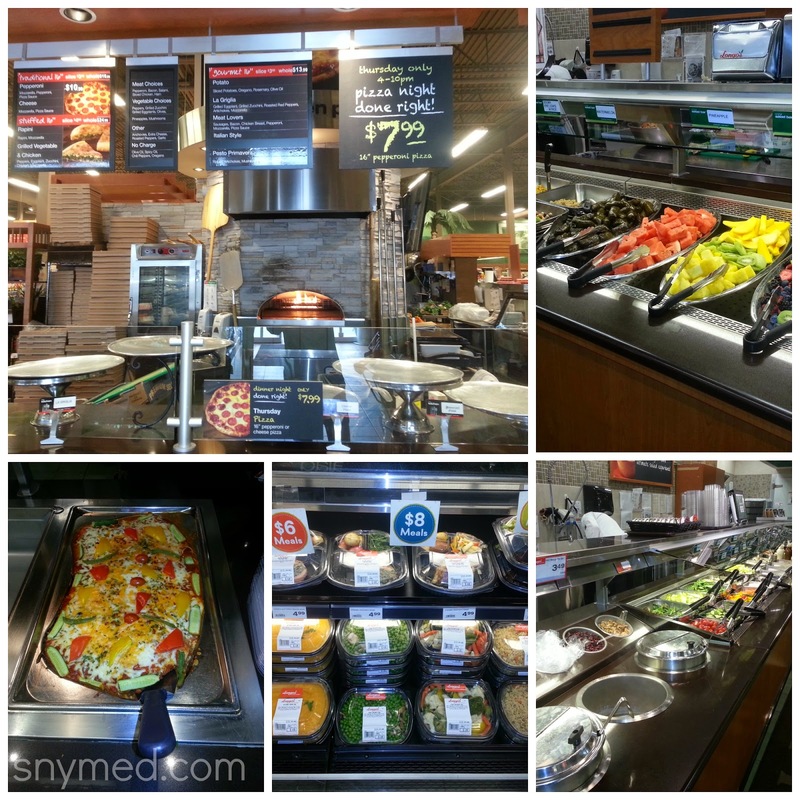 Healthy Does NOT Have to Be Boring! 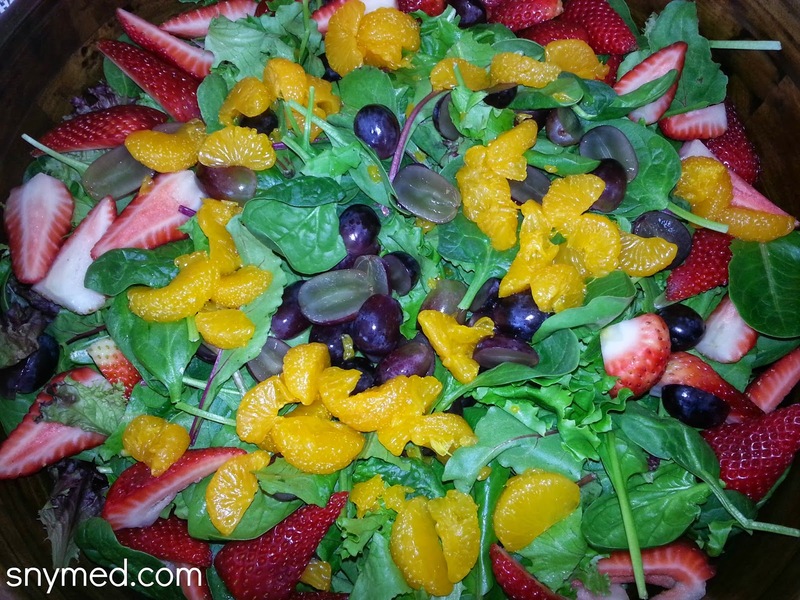 My Sister-in-Law's Beautiful Citrus Salad! 2.TONE UP - I've been away from the gym for a while, so I would like to especially tone up my stomach. After having had 5 children in 5 years, I would say that my stomach could use some work. With the summer upon us, I'll try more activities that work my stomach muscles. 3.RUNNING - I've never been a runner, even when I was a child, but I recently tried my hand at it! Previously I would get easily winded, get a stitch in my side, and feel like my legs were like rubber. Well, at my inaugural run I made it over 1 kilometer (0.62 miles) without stopping--and made pretty good time! It was very hard work, but I did it with no excuses and was immensely proud of myself! I'd like to keep working on this and possibly build up to a half marathon. 4.SUMMER FIT - Now with the warmer weather upon us, I'd like to take advantage of the great outdoors as much as possible! Hiking, swimming, walking, playing frisbee, and ball with the kids are all a great way to stay active. Local Parks & Walking Trails Are An Easy Way to Get Fit! 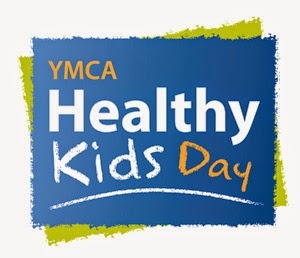 5.JOIN A GYM - I'm still a member of the YMCA, but after we moved the location was too far to visit daily. So, I would like to join a gym closer to my location, and get started once the snow hits the Toronto area. Last winter I was active every day outdoors, and frankly the weather was a little rough on certain days. I would like to work out 3 times per week for about 1 hour and 15 minutes at each visit. Do you have any current health and fitness goals? What are your strengths and weaknesses when it comes to eating? If you could improve ONE area of your health or fitness, what would it be? 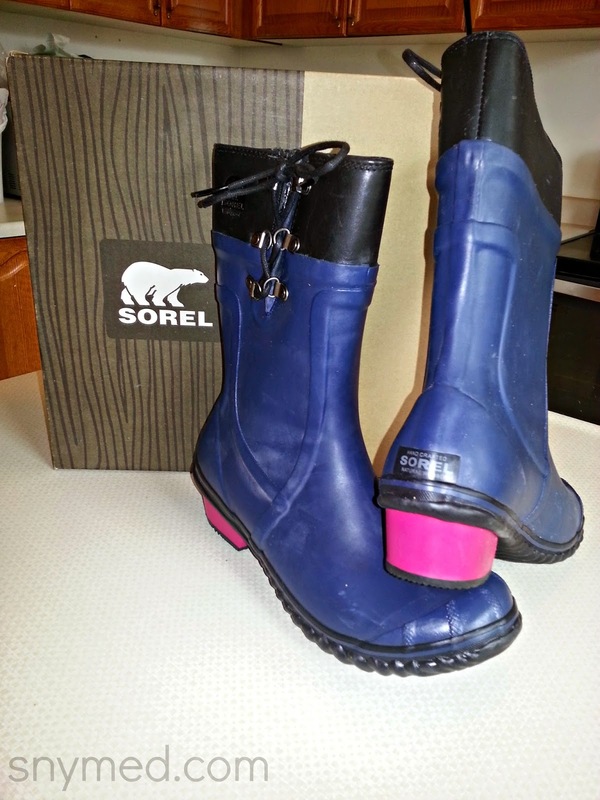 Sorel Makes Rainboots Too: Women's Conquest Carly Glow Boot Review! I recently came to the huge revelation that in my whole adult life, I've never owned a pair of rainboots! I'm not sure why I've never owned a pair, as I can often be found in rainstorms and puddles--and I'm sometimes afflicted by wet feet. Thinking back, the last pair of rubber boots I ever owned was in first grade. The boots were a birthday present from a distant auntie, and the gift came with a matching umbrella. After I outgrew the boots, I don't believe I ever received another pair. Shockingly, it took me 36 years to realize that I've been bootless all this time. How did I never notice? After purchasing all 5 of my kids another round of boots for the spring, I concluded that I should get myself a pair too. After all, my feet go where their feet go--which means I should be properly outfitted for the worst mud, muck and mire. I browsed the Sorel website and found the Women's Conquest Carly Glow Boot for $160. They currently come in black/silver sage, and nocturnal/black, which is shown above. I like that the nocturnal/black pair have a pink heel as an accent colour. Both feature full-grain uppers, and vulcanized rubber for the body of the boot. 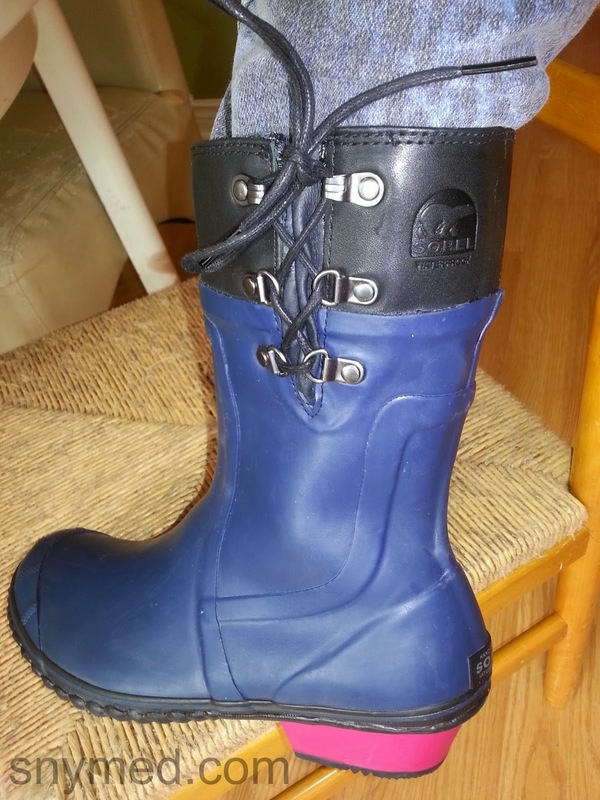 The arrival of my Sorel Women's Conquest Carly Glow Boots was fortuitous, as the next day it was pouring rain--and I had planned an outdoors excursion to Canada's Wonderland amusement park with the kids! A rainstorm was forecast, and I was expecting to be walking around in the rain for 8 hours. Well, walk we did for the entire day and my feet stayed dry and I found the boots to be very comfortable--even after 8 hours of walking on concrete. The heels on the boots were just right for me, and they cushioned my soles. The height of the boots were just right for everyday use and for city-living in general. The Sorel Women's Conquest Carly Glow Boots were true to size, in my experience, and they were an excellent fit for me. They come in women's sizes 5-12, and are available in half sizes up to size 11. I wore them as slip-on boots, but they also unlace at one side to accommodate a wider calf. The boots were well-made, but I did spy some excess glue left over on the leather pieces. I also found that the boots scuffed easily. However, neither fact detracted from this great pair of boots--and I'm looking forward to wearing these in rainy weather! I was very pleased with the Sorel Women's Conquest Carly Glow Boot, and would like to see Sorel grow their rainboot line in the future and offer more selection of styles. Moreover, I would love to see Sorel offer a men's boot as well as kid's rubber boot line. I believe that they would be well-received! 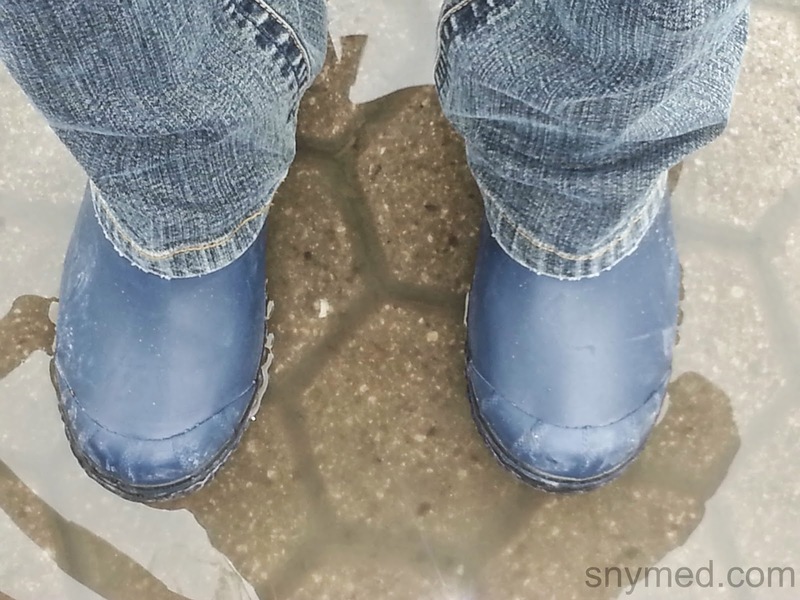 Do you own a pair of rainboots? How long have you owned that same pair or pairs? Did you know that Sorel makes women's rainboots? 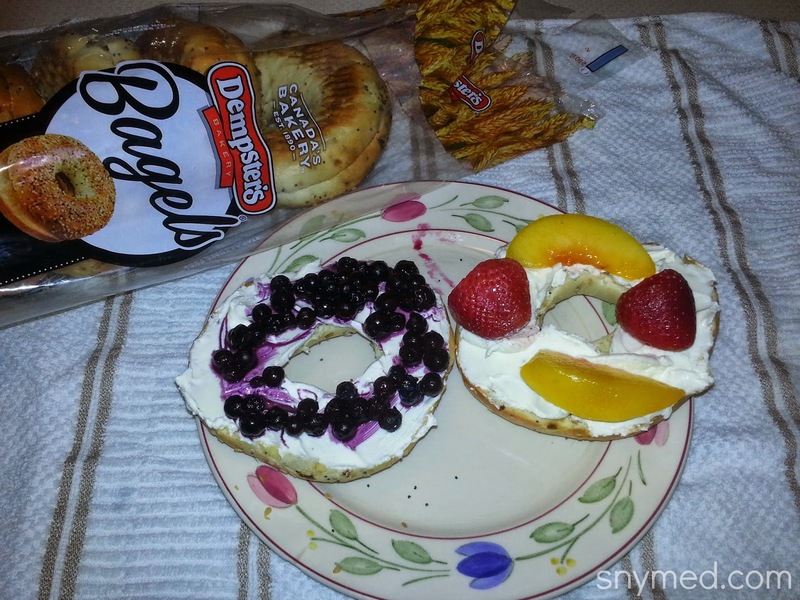 Superfast Cream Cheese & Fruit Bagel for Breakfast! Make in 2 Minutes or Less! I'm not going to pretend: it's difficult to get 5 young kids ready for school in the morning! The kids are bathed and the lunches are made the night before, which leaves each child to get dressed, washed, and eat a well-balanced breakfast. I prefer two hours to get the kids ready for the day, but the truth is, I often end up with only one hour to achieve these tasks each morning. And I don't believe in cutting corners--or having the kids show up to school late. However, the kids can be slow to get ready and sometimes get their priorities mixed up (such as playing, instead of fulfilling their morning duties). So, to counteract the lost time I spend coaxing the kids to get ready, I often need to pull together a superfast breakfast. 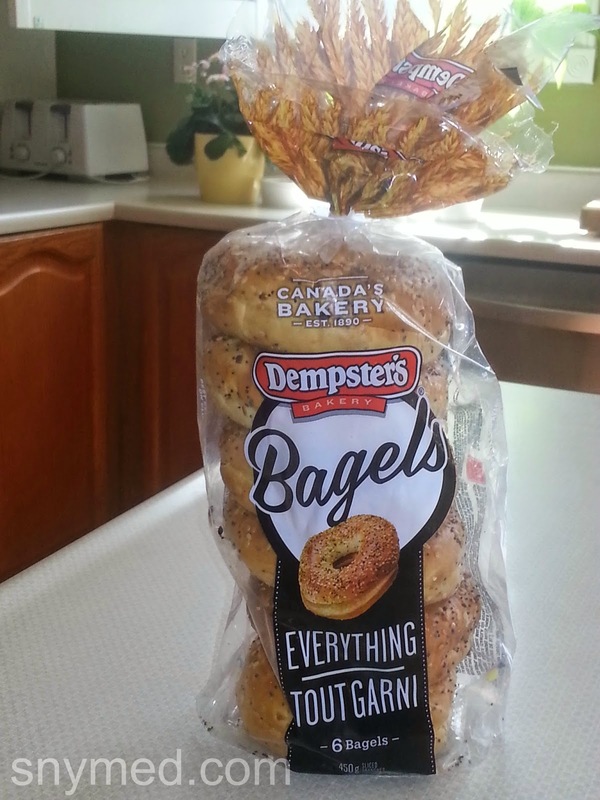 Dempster's bagels come presliced, and can be served fresh or toasted for breakfast. I can quickly spread cream cheese on the bagels, and boost the kids' nutrition by adding fresh or frozen (defrosted) fruit. I try to leave enough time for the kids to sit down at the table together, but this also makes a great grab-and-go breakfast. He Likes Fruit on His Bagel! 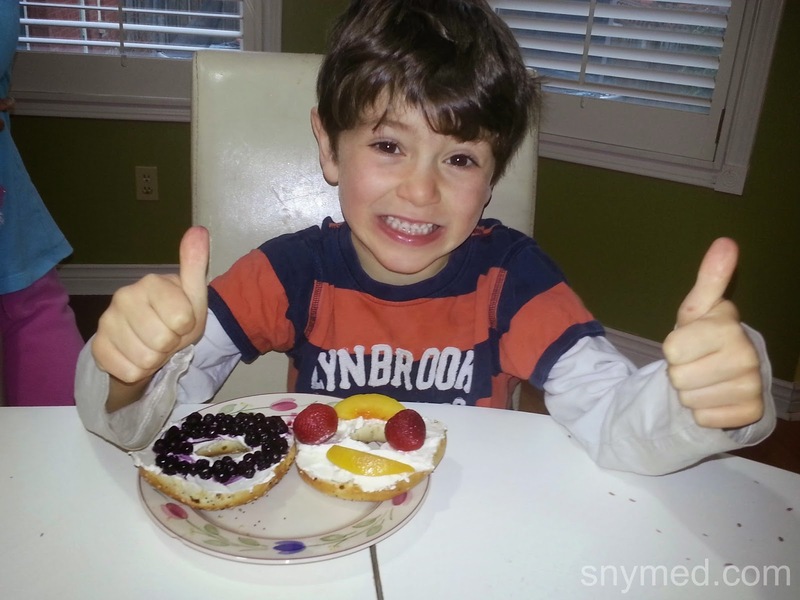 When using frozen fruit on the bagels, my kids like when I microwave them so it's like eating "hot pie". Note: I microwave the fruit separately, then add it to the cream cheese bagels. I find that frozen blueberries, strawberries, raspberries and blackberries heat well and can be added easily to Dempster's cream cheese bagels. Untoasted with fresh fruit, these bagels take about 1 minute to make; or toasted with frozen fruit, it's only 2 minutes from plate to table! Even when pressed for time, I like to ensure that the kids have a hearty and nourishing breakfast. I believe that by eating a good breakfast, the kids perform their best throughout the day--and have enough energy to keep them going! What do you enjoy eating the most on your morning bagel? Do you ever add fruits or veggies to your bagel? 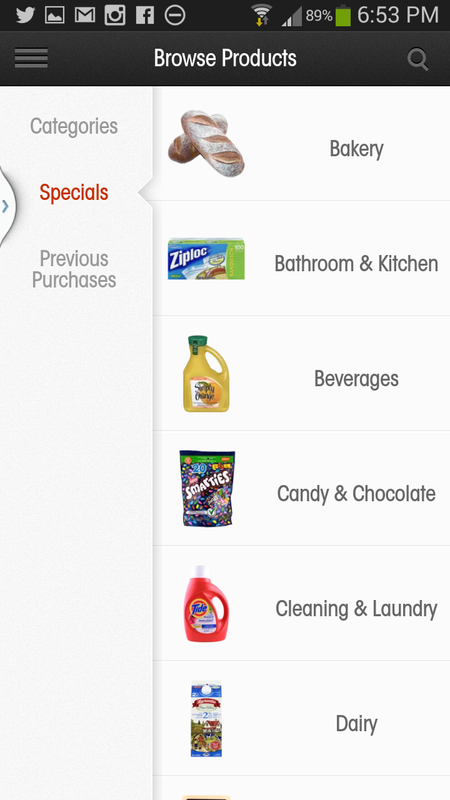 Great Mother's Day Gift For That Inspiring Mom: SodaStream Drink Maker! I wrote a bit about my mom's story last year, and how she has inspired me over the years. My mom wed as a teenager and had my brother also in her teen years. I can't imagine how hard it would've been to have had a baby at 18-years old, but my mom managed--and then added me to the family in her early twenties. When I was in grade one, my mom decided to enter the workforce and earn a bit of money. She started out as a receptionist in a dental office, and eventually had a thirst to become a dental assistant. Not only did she become a dental assistant, but she decided later on to apply to dental hygiene school - where she was accepted! With a family of four to care for, she put herself through school and graduated as a dental hygienist! That was about 20 years ago and her career is still going strong today! When I think of my mom's story, it teaches me that most goals are attainable with hard work and motivation. There are no shortcuts to success, and it must be toiled for. I follow these same ethics and try to instill these same lessons in my children. My mother's story has inspired me to set higher goals for myself and reach farther. This year we're going to have a wonderful Mother's Day luncheon at my mom and dad's home. It's a great place to gather together the kids' two grandmas, great-grandmother, and mother. I love the energy, as all the young cousins gather and descend on the house with sheer exuberance! To celebrate Mother's Day, my mom, sister-in-law and I will be visiting a quaint country spa. It will be such a treat to have a little quiet time to myself, and be able to visit with these two fantastic women! Throw in a luxurious massage, a swim in the pool, and a light lunch--and it will be an experience that I don't often get to enjoy as the mom of 5 young kids! 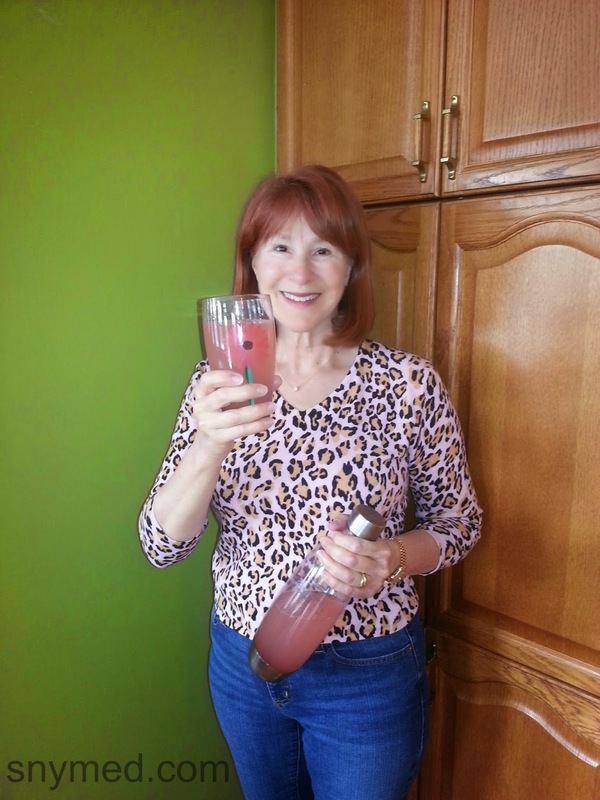 SodaStream: A Great Mother's Day Gift! 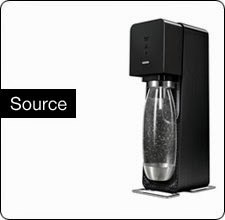 Last month I spoke of the fun and stylish SodaStream Drink Maker, which I think is a great gift idea for Mother's Day! The SodaStream Drink Maker transforms ordinary tap water into a sparkling drink in seconds, and offers over 30 mouth-smacking flavours from which to choose! I like that with SodaStream, each family member can customize what goes into every drink: more or less carbonation--or more or less sweetness. And according to SodaStream their flavours contain less calories, sugar and carbs than traditional sparkling beverages. One SodaStream bottle can replace 2000 bottles and cans, which is great for the environment. And it still stuns me that almost one billion regular bottles are manufactured daily--and 800 million of these end up in landfills! Use Coupon Code PTPA to get 15% off the purchase of a SodaStream drink maker, when you make the purchase on SodaStream.ca! Discount code valid online only, and not instore. Miss it last time? Check out my VIDEO, below, that shows how to operate the SodaStream! It's so easy! Did your mom--or another positive role model--inspire you in an important way? 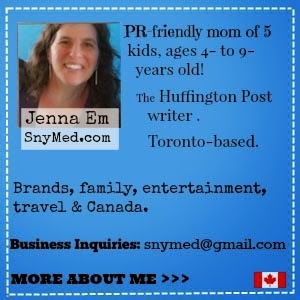 How are you celebrating Mother's Day this year?Disclosure: I am part of the PTPA Brand Ambassador Program with SodaStream Canada and I received compensation as part of my affiliation with this group. The opinions on this blog are my own.